of a moving metal substrate. 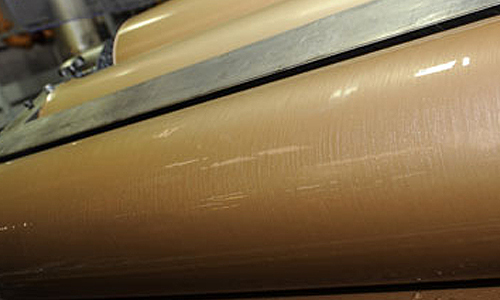 Coil coating is the roller application of a paint to one or both sides of a moving metal substrate. In a continuous process, the paint is applied to the surface, dried in the oven and then the strip is recoiled, resulting in a coil of metal strip with a formable, uniform, functional or decorative coating. CCC can coat a wide variety of metals including Aluminium, Stainless Steel, Aluminised Steel, Hi-Top or ECCS, Tinplate, Electro-zinc, Galvanised and Cold Rolled Steel. This substrate variety is unrivalled by the major wide coating lines of the world and lends weight to CCC’s specialisation. CCC puts a major emphasis on joint product development tailored to the clients commercial and marketing requirements. This bespoke service can keep our customers ahead of their competition and keeps CCC at the forefront of coating technology. The success of CCC and its customers is built on active development partnerships. 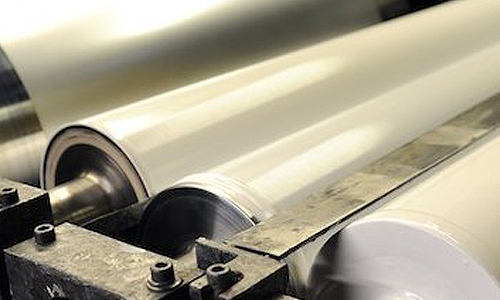 We coat a wide variety of metal substrates for functionality and decorative purposes and can deliver material in sheet, coil or blanks to anywhere in the world. 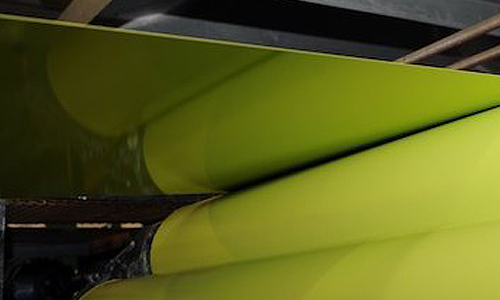 Coil coating is a reel-fed continuous process for painting metal sheet which our customers then use to make a finished part. Apart from being a superior quality coating to spray coat, there is no need for our customers to have an expensive paint plant or to comply with today’s tough environmental legislation. In one continuous reel to reel process, a coil of material up to 940mm wide is unwound, cleaned, primed and then coated with up to three layers of paint on each side, before being thermally cured and then rewound. The process allows for different colours and patterns to be applied to each side of the sheet. In addition, a strippable plastic film layer can be added for extra surface protection. Once coated, the coil is then further processed to give our customer the material in the dimensions and formats they require. These controls are virtually impossible to attain with other painting processes. Dealing with a ‘flat sheet’ allows the material to be thoroughly cleaned prior to the paint being applied. Coating in this way provides excellent control of paint film weights which can be measured in microns. 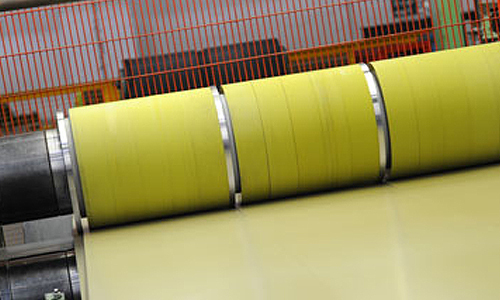 Coil Coating advantages, along with the economic and environmental benefits, make coil coating the right choice if guaranteed quality is your goal. There are a number of benefits associated with coil coating which includes quality, consistency of colour, corrosion resistance, the opportunity to customise, its harmless effect on the environment including the recycling of waste. Continual investment in the latest technologies ensures full compliance with the most stringent legislation in the world. 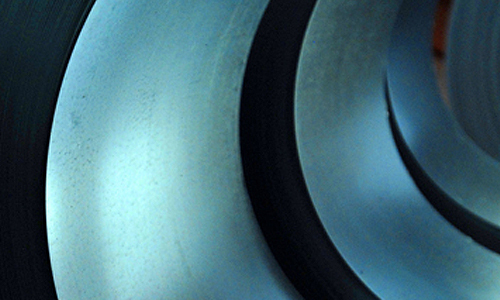 Coil coating is a closed loop process so the release of harmful elements is eradicated. All solvents/organic compounds are captured and treated prior to emission. 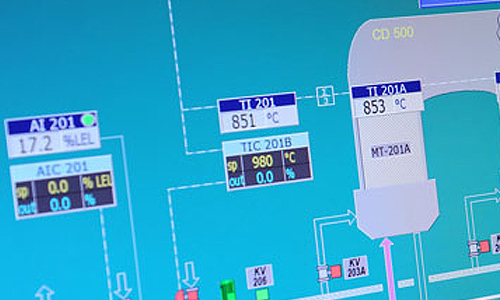 All of our emissions and potential waste streams are tightly controlled under local environmental regulations, supplemented by our ISO14001 accreditation. The coil coating process provides coating application efficiency of over 95%, which is significantly higher than other application techniques. Pre-painted metals can also be fully recycled, providing further environmental advantages.